Each child is put into a house when they join the school. Tray labels and PE t-shirts can display their house colour and their house badge is sewn on the arm of the school jumpers. 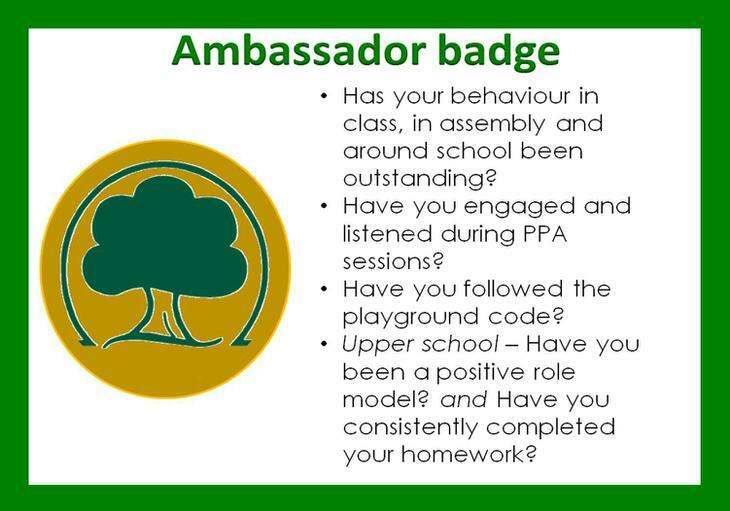 Children can earn house points for effort in work and behaviour. Year 6 House Captains are voted for by their house every year. They are then responsible for organising termly house meetings, house matches and assist staff in assembly times. Credits will be launched soon, details to follow. English and Maths Medals are given out daily to pupils who have shown particularly good effort and participation during the lesson. Outstanding work will be put on display in Mrs Laurie's office. Fair Oak Junior School encourages pupils to contribute to the school community by taking on roles of responsibility to help their class and the school run smoothly. We encourage everybody to become a classroom monitor. You could be in charge of the register, taking out the lunch-crates, organising the art resources, collecting the equipment from the PE cupboard and library. Older children also have the chance to become school monitors. They could assist in assembly, distributing registers and collecting photocopying. Playground leaders support the lunch team outside, organising activities for younger children and take on a greater role in our sports events. Smile Squad are trained to help children resolve minor friendship problems at break times and have special play equipment. Every year we have a PE Hall of Fame displayed in the hall.